Freddie DeBoer has a blogpost up at Jacobin, titled “Student Activism Isn’t Enough.” It’s classic Freddie: write an entire essay shitting on student activism, then closing it by saying actually, student activism is pretty great and important, keep it up! A reasonable response is wait… who says that it is, or should be? It’s a straw man argument. 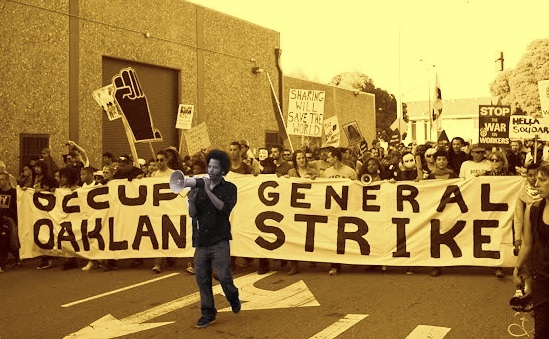 The best he can muster as an opponent is the Port Huron Statement: a 55-year-old student manifesto written by students so hopelessly campus-centric that they write, “the university system cannot complete a movement of ordinary people making demands for a better life,” and so cut off from labor organizing that it was written at a United Auto Workers retreat. That said, he makes several points to support his claim. Unfortunately, they are hardly unique to higher education, and could easily be used to make the argument that, say, the workplace “can’t be the key site of left-wing (or any other) organizing.” Let’s look at each. There’s not a lot of people on campus? It’s true! But look to any other sector of the economy and you won’t find the “vast majority” DeBoer suggests we aim for. Hell, only half of the U.S. population is actually employed at all. Campus activism is seasonal? Also true! But of course, so is a significant proportion of low-wage jobs, particularly in the agricultural and service sectors. Workplaces without summer breaks see lulls in momentum, and even most unionized firms see a noticeable downtick in worker activity between contract fights. College students are an itinerant population? Surely. It’s hard to organize anywhere with significant turnover. Like, say, the average American workplace. In 2016 the average annual turnover rate across all industries was almost 18%. At least on campuses the turnover is steady and predictable, which makes planning a lot easier. Town and gown conflicts can make local organizing difficult?Definitely. Though the workplace-community divide is just as real, even (and at times especially) when both sides are well-organized and see their immediate interests as unrelated, or in conflict. Students are too busy to devote too much time to organizing? Doesn’t this apply to pretty much everyone trying to scrape by today? College students have a natural and justifiable first-order priority of getting employed? And as DeBoer does note, employees have a natural and justifiable first-order priority of staying employed. What’s worse: having social media posts about campus protest actions in your history, or having your previous employer warn prospective bosses that you’re a union-organizing malcontent? Sure, employees can build up “social capital,” but you would have to have quite a bit to weather the storm once right-wing trolls start calling your boss. 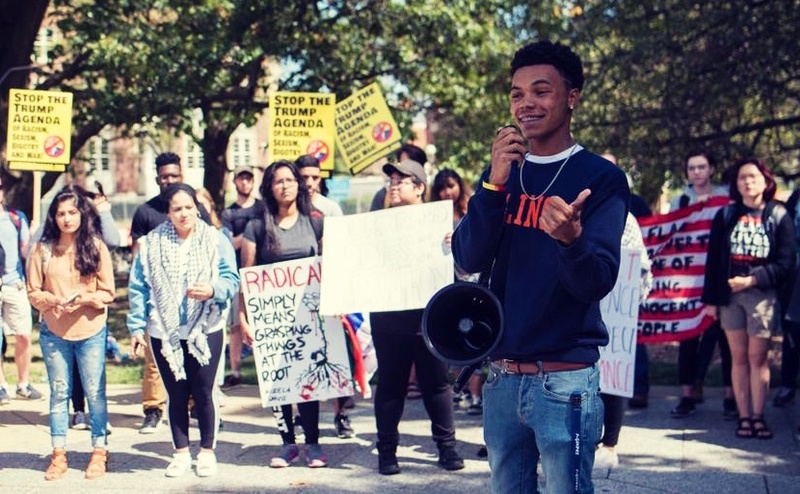 College activism can either be a low-stakes place where students learn and grow safely, or an essential site of organizing — but it can’t be both? It’s a truism that the newly-organized and politicized will make mistakes. That’s hardly the sole domain of college campuses. Almost 1 in 3 union elections fail, not to mention the countless organizing drives that never make it that far. Blunders, overreaches and miscalculations are made. Ask any seasoned labor organizer about the first workplace they tried to unionize, and if they acted differently when they organized their tenth. Organizing is best learned by doing, and the higher the stakes the stronger the lessons are. Low-stakes and high-stakes organizing happens all the time, sometimes simultaneously, both on campus and in the workplace. The small group of workers who push their employer for a better break room are, win or lose, learning the skills that will serve them well when they decide to unionize. Organize the campus’s workforce according to labor principles? This is the odd one out: it’s the normative claim in his self-described list of empirical claims. DeBoer states that campuses should be organized “according to labor principles, not according to any special dictates of academic culture,” which I suppose means something like organizing a faculty union instead of a faculty senate? And that does make a lot of sense. But it leaves unaddressed the very topic of his blogpost: students, many of whom, as he points out, are also workers. The particular web of material relationships between students, faculty, and administration — all mediated by larger systems of capital and the state—defy the easy importing of organizing frameworks developed elsewhere, to the point where “labor principles” as a phrase becomes too vague to be helpful. 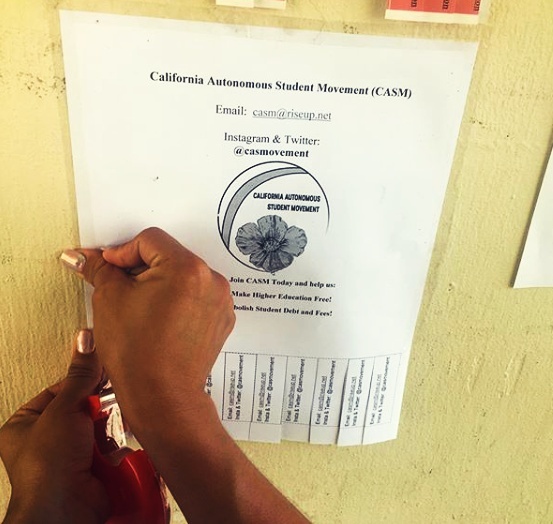 The California Autonomous Student Movement is active in the Los Angeles area. Connect with them on Instagram and Twitter @CASMovement. A better title for his post would be “Student Activism is Hard,” because that’s the only case he manages to make. All sites of struggle are difficult to organize. But its difficulty is hardly a reason to dismiss it. Indeed, there are very good reasons why the left should concern itself with student organizing and include it as a component of any grand strategy for organizing the working class. Consider the role of universities within contemporary capitalism, and the structural position students occupy within it. Universities are important nodes within local, national, and global economies, not least due to their research output and the sheer size of their endowments (half a trillion dollars in the U.S.). They are uniquely vulnerable to popular pressure in ways many other large institutions are not. The best kinds of student organizing, like that done by United Students Against Sweatshops and Student/Farmworker Alliance, leverage those pressure points to great effect. Universities raising worker compensation have contributed to upward wage pressures far beyond campus. And the way universities structure their endowments can have profound effects: student and faculty organizers, having spent many hard years pressuring University of California to divest its funds from South African firms, were personally thanked by Nelson Mandela for their role in the struggle against apartheid. Consider the role of universities and students within the history of left organizing and revolution. Contrary to DeBoer’s portrayal of them as job-seekers first and foremost, students often have the least to lose and are most willing to, through their actions, create openings for wider class-wide organizing and resistance. Students and young people have played critical, and usually inciting, roles in social upheaval in the West stretching back to the Middle Ages. It was with a student protest march that the 1956 Hungarian Revolution kicked off. It was student organizers who formed SNCC and built one of the most important civil rights organizations in American history. It was student fraternization with workers that so frightened officialdom on both the right and left in France in 1968. It was a student strike’s expansion into a generalized revolt against austerity and precarity that toppled Québec’s increasingly authoritarian government in 2012. And even when students are organizing campaigns primarily for student benefit, identifying collective interests based on their material position within a system seems like a good thing to pursue if we want a reinvigorated class politics. 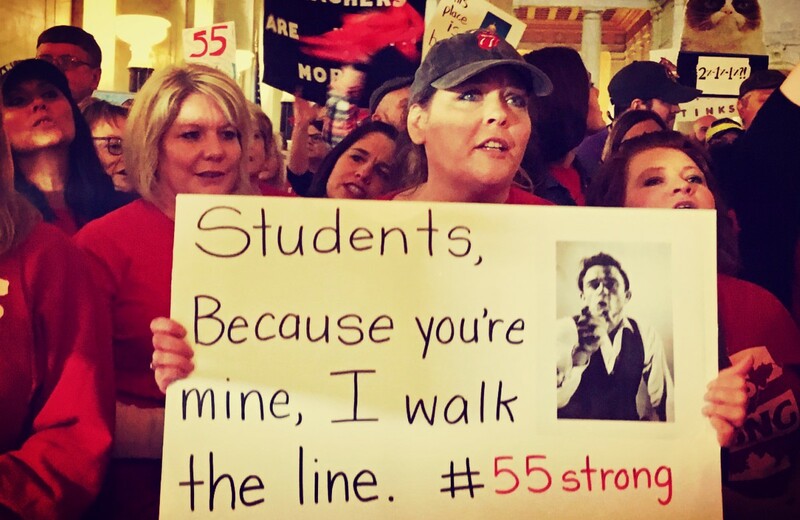 When done right, organizing for student power is just a hop, skip, and a jump from organizing for worker power. 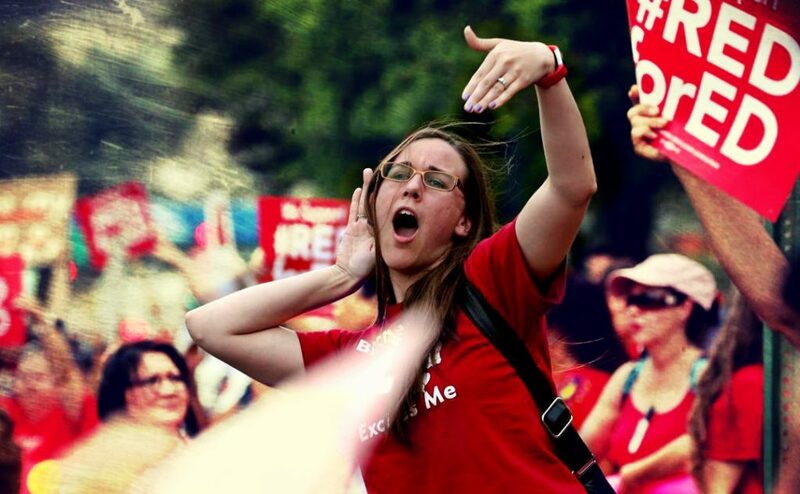 If the left were to draw a sharp line between student organizing and the larger project of organizing labor it would only harm both sides, as well as isolate and stunt the growth of the very student activists DeBoer loves to scold. The conditions around us and the tasks before us demand more from the left than tidy categories dividing the working class. The forces of capital are complex and nuanced. We have to be too. Patrick St. John is a former student organizer who lives in the Burlington, Vermont area and is a member of Black Rose/Rosa Negra. This piece has been republished from his blog.